Florida has one of the country's last great natural reserves for wildlife and National Parks: the Florida Everglades. 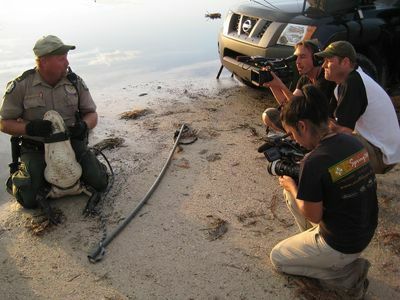 In ‘Operation Wild' join the Florida Fish and Wildlife Commission (FFWC) team, as they attempt to track down poachers and provide security for wildlife found within their borders. The FFWC will also organize dangerous animal relocation expeditions, serving their ultimate mission, which is to secure a National treasure for generations of animals to come. In this series, Officer Steinmetz uncovers an endangered species that is in need of urgent medical attention; Officer Bean comes face to-face with a 900-kilogramme Grizzly Bear and an officer is shot and nearly killed out in the field, which puts everyone on high alert.